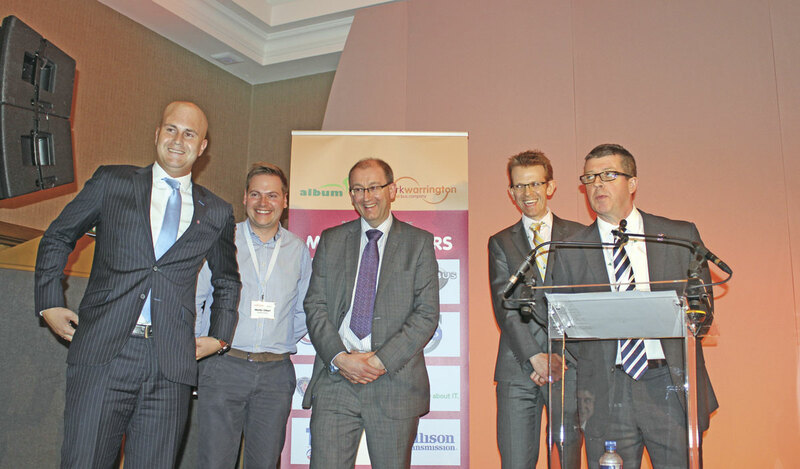 Busmark, CILT’s (Chartered Institute of Logistics and Transport’s) new benchmarking scheme was officially introduced to the industry for the first time at the recent ALBUM conference. You may have a first impression of it from our coverage of that event, now Chris Peat has contacted Austin Birks, CILT’s Chair, Bus and Coach Forum, to find out more. 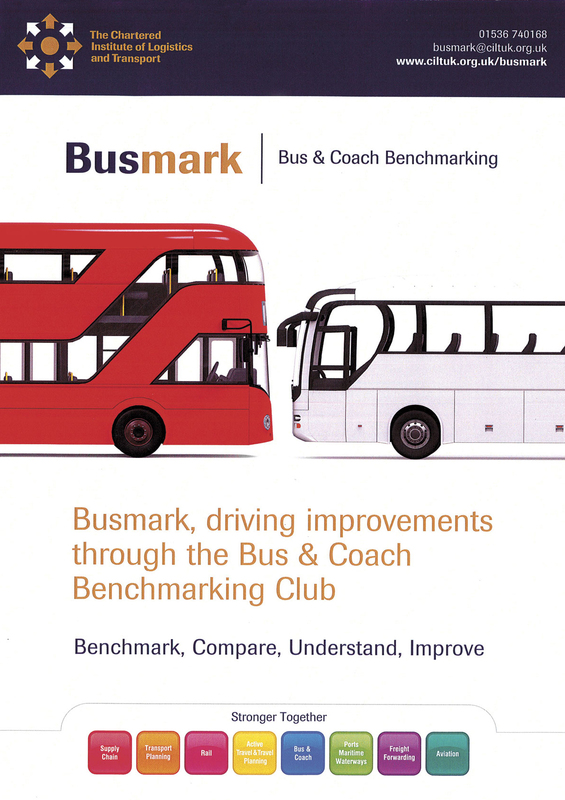 Busmark is a benchmarking club designed to allow the sharing of best practice. Its main aim is to provide operators with a snapshot of what they do well and where they can improve against their peers in the industry. Austin described it as a unique and innovative scheme and its reason d’etre is to drive improvement in the bus and coach sector. A benchmarking survey has been drafted that helps to capture the ideas, innovations and infrastructure of the bus and coach industry. The 90 question survey covers subjects such as operations, engineering, the environment, technology and customer service. Filled out online, it is based on either a single depot or region of choice. It will be analysed once a year by the benchmarking team at CILT. Each Busmark member receives their own tailored, confidential report based on the survey questions they chose to answer. This document identifies the maximum, median and minimum responses to each question. Using a traffic light system of analysis, it identifies high performance, average and poor performance levels using green, amber and red respectively. The idea of this is for it to be used to compare an operation’s performance against that of others, as well as helping identify common weak areas amongst its members. Knowledge of the latter will be used to guide what topics are covered in four annual workshop sessions to be hosted by operators. At these events, industry specific expertise will be given on the areas highlighted by the results of the survey, with expert speakers in these areas invited. They will involve discussions on common issues and trends, as well as a facility tour by the host company. It is intended to be a good networking opportunity too, providing the opportunity to learn from the experiences of other organisations in a non-competitive environment. Additionally, it gives operator members a ‘badge of honour’, allowing them to display the logo as a sign of their commitment to drive improvement. Behind Busmark is its dedicated team, which includes Darryl Chesney, Katie Workman and Chris Ruane. The first survey was completed last year with 35 companies across the UK taking part. Such a turn out for this initial questionnaire was described by the CILT as ‘indicative of the significant interest that Busmark has generated within the sector’. The scheme has already gained 13 members since its launch at the ALBUM conference. Austin said interest continues to be seen and what’s more, it is coming from a wide range of different operations, from big nationals such as Arriva, municipals like Reading Buses and independents like Travel de Courcey. There were of course concerns when setting up Busmark. For instance, the issue of commercial confidentiality was raised, people understandably concerned whether their operational details were in safe hands. However, the steering group at CILT were careful to craft the questions to ensure they did not create any clashes of interest. They were also developed with the assistance of what Austin describes as a ‘good cluster of bus and coach companies’, representing various different types of operators. The questions were also passed by the Competition and Markets Authority and the Senior Traffic Commissioner. Beverley Bell FCILT, Senior Traffic Commissioner for Great Britain and CILT President spoke at the launch and was joined by Busmark steering committee members who introduced the advantages of being part of Busmark, as well as the benefits of CILT membership. During its launch at the ALBUM conference, Ben Colson, ALBUM Chair, gave support for the initiative, describing it as ‘a great project that can only add value to our industry’. The Busmark project has been two years in the making. The first ever meeting was held in Corby and was attended by 20 operators from across the UK and Ireland who helped to map out how it would work. A steering committee was appointed, which included Martjin Gilbert, Alex Perry, Richard Hall, John Carr and Adrian DeCourcey. (LtoR) Chris Darby, Martijn Gilbert, Alex Perry, Adrian DeCourcey and Austin Birks launch Busmark at ALBUM. A number of sponsors have been named for Busmark, which allows the individual supporting companies to show their support for the values of enhanced operational performance and the general economic well being of the industry. The Gold sponsor is Marsh Ltd, the insurance provider, which has a transportation practice. The company’s primary focus is to provide risk solutions and services to clients that transport people or haul freight. The ‘technology’ sponsor is Mix Telematics. A spokesperson from Mix said, ‘MiX Telematics is proud to be the technology sponsor for Busmark. We aim to keep the industry informed on the latest technology trends, but with a strong focus on how new technology can continue to drive financial and operational performance benefits. We intend to enthusiastically participate in the quarterly meetings and also listen to the feedback from all of the business disciplines and present back how the types of solutions we offer can enhance the industry further. Another sponsor, for Operations, is Omnibus Systems Ltd, providers of passenger transport software. It has solutions for scheduling, timetables and staff management designed to save operations time and money. There are a number of other sponsorship opportunities, including Operational Risk & Safety, Environment, Employee & HR and Customer Service, all of which are to be appointed at a later date. To sign up to Busmark or for more information, email [email protected], visit www.ciltuk.org.uk/busmark or call 01536 740123 . A special ALBUM conference membership price of £250 is available for a limited period.